All commodity indices are rebalanced twice a year, in May and November after the close of the last trading day. • Update the open interest weight for most recent 36 months or since the listing of new commodity. • Update the trading value weight for most recent 36 months or since the listing of new commodity. • Keep the commodity consumption weight for most recent 36 months or since the listing of new commodity. The consumption weights basically are unchanged, but may subject to some fine-tuning. It has the time lag for the release of commodity consumption data. The actual consumption data will be used to replace the estimated number in previous rebalance. • Update the commodity consumption weight for most recent 36 months or since the listing of new commodity. If annual consumption data is unavailable, an estimate will be made based on monthly actual consumptions. • New commodity futures are added into the indices during rebalance period twice a year. • New commodity must have at least 3 months complete transaction records to be qualified as an index candidate for Zhong Han Commodity Tradable Indices. • The new commodity is added to the Zhong Han Commodity Total Market Indices as soon as listed in the market. 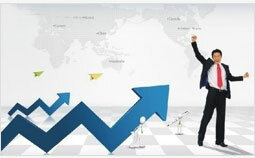 • The new commodity is added to the Zhong Han Single Commodity Indices as soon as listed in the market. • The newly listed commodity must meet index construction rules in order to be included in Zhong Han Commodity Tradable Indices. • If a commodity cannot meet the exchange requirements and is delisted or in the liquidation procedure, it will be removed from the indices at the same time.